This chapter describes a holistic approach to understand the molecular biology and infection process of human-pathogenic fungi. It comprises the whole process of analyzing transcriptomic and proteomic data. Starting with biological background, information on Aspergillus fumigatus and Candida albicans, two of the most important fungal pathogens, is given. Afterwards, techniques to create transcriptome and proteome data are described. The chapter continues with explaining methods for data processing and analysis. It shows the need for, and problems with data integration, as well as the role of standards, ontologies, and databases. General aspects of these 3 major topics are explained and connected to the research on human-pathogenic fungi. Finally, the near future of this research topic is highlighted. This chapter aims to provide an overview on analyses of data from different cellular levels of human-pathogenic fungi. 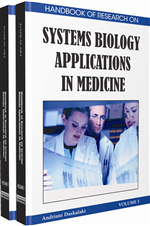 It describes their integration and application of systems biology methodologies. In the past, biologists mostly studied one or few genes or gene products at a time. In recent years, it was realized that it is not enough to understand the basic elements of a system. It is also necessary to understand the system as a whole. Systems biology is a holistic, cross-disciplinary approach of studying biological systems (Ideker, Galitski, & Hood, 2001). It considers organisms and their environment as series of hierarchical levels. Systems biology can be divided into two branches. Bottom-up approaches, which aggregate detailed knowledge of single components and their interactions into suitable modules, are the first one. The second branch are top-down approaches, which decompose global data to gain knowledge of smaller modules. Bottom-up approaches are most important in research on human-pathogenic fungi at present. They work by systematically perturbing the biological system under study, monitoring the response, integrating data, and finally modelling the biological process. Iteratively, experiments are made to validate the model and the model is refined to fit experimental findings. A completely sequenced genome of an organism is the framework of any global approach. Together with transcriptomic and proteomic data, it builds the foundation for systems biology (Aggarwal & Lee, 2003). For several human-pathogenic fungi, including Aspergillus fumigatus and Candida albicans, the genome has been sequenced. Several studies have been conducted using ‘omics’ methodologies and storing results in databases. This chapter wants to provide insight into current work that is done on different cellular levels of human-pathogenic fungi and the state of systems biology research in this area. Imputation: Substitution of some values for missing data. When missing values are imputed, data can be analyzed using standard techniques for complete data. Transcriptomics: Examination of mRNA expression levels in a given cell population. mRNA content and distribution of a cell closely reflects the activation status of its genes. Data Warehouse: Special type of database for storage of heterogeneous data from different sources. Data warehouses are optimized for supporting and including data analyzes. Filtering: Process of separating different types of data from the whole. A filtering criterion has to be applied, the choice of which is critical for results. Proteomics: Large-scale study of proteins in a cell, tissue or organism under certain conditions. It is more difficult and less mature than transcriptomics. Proteins are actors of nearly all biological processes. Genomics: Determination and investigation of the entire genome of an organism. Sequencing is a big part. However, the functional characterization of genes is a big challenge. Human-Pathogenic Fungi: Fungal species that cause diseases in humans. They can be environmental and act as external pathogens like A. fumigatus . They can also be commensals of humans and act as endogen pathogens like C. albicans . Normalization: Process of removing bias in data. Normalization tries to minimize the influence of measurement error on results of analyses. Database: Structured collection of large amounts of data. Queries can be run to collect and display subsets of the data to many users.